New Delhi : Samsung has finally unveiled its foldable smartphone with an Infinity Flex display. 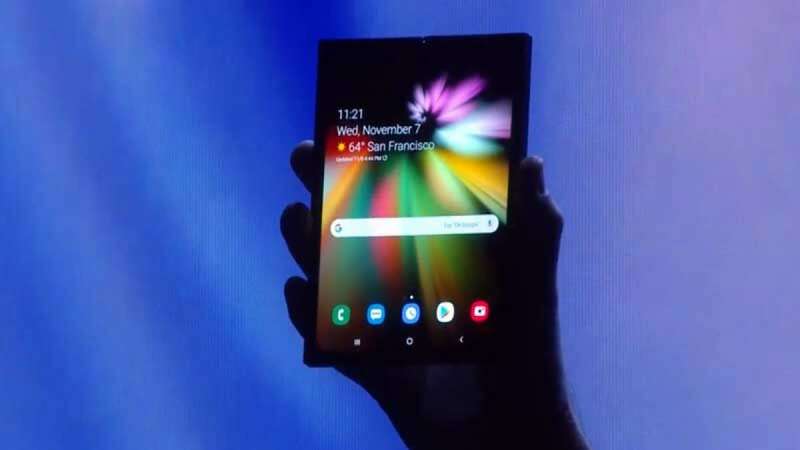 On Thursday, the manufacturers showed off their first smartphone with a fully-foldable OLED panel at the Samsung Developers conference (SDC 2018). Although not much details were announced about the device at the conference, Samsung did share some information about the AMOLED display. According to the Samsung, they have managed to create a display that can be folded "hundreds of thousands of times" and they are ready for mass production of the same. When folded it becomes a 4.7 inch super AMOLED display and when it is unfolded it becomes a single 7.3 inches Super AMOLED main display that can be used as Tablet display. We can’t wait to see a smartphone with foldable display in our hands.